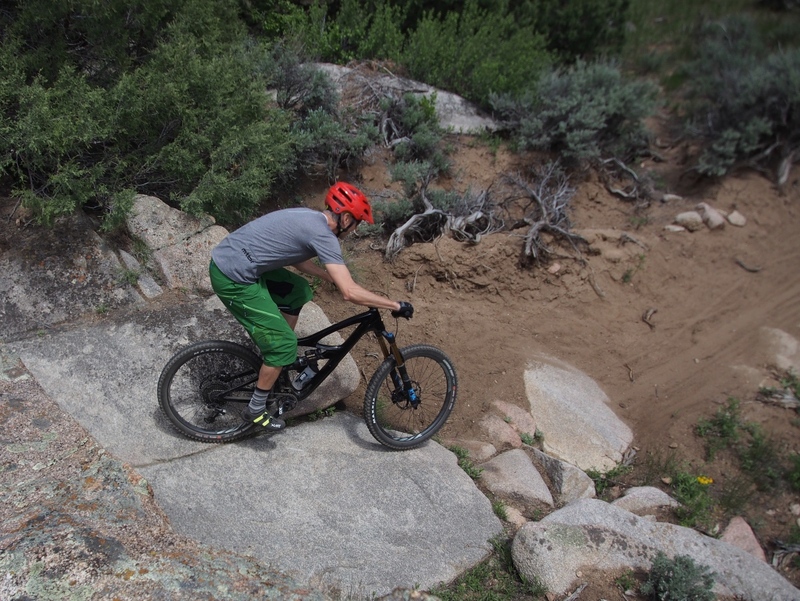 After spending a few more months ripping around on the new Ibis Mojo HD4, it’s time for an update. In a nutshell, not much has changed since this initial impressions post first went live on Mtbr back in May (which you can read below). 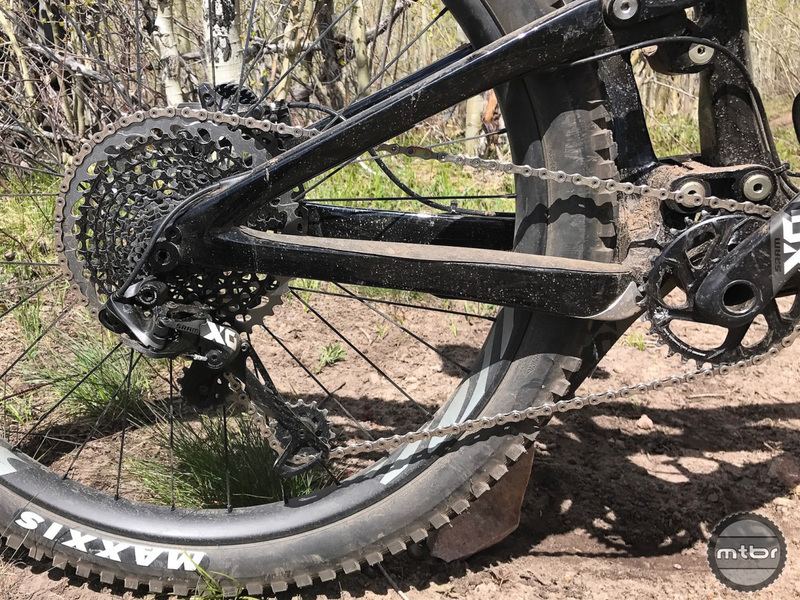 This bike is a trail taming beast that can capably scamper up most climbs, and then bomb back downhill with truly reckless abandon. 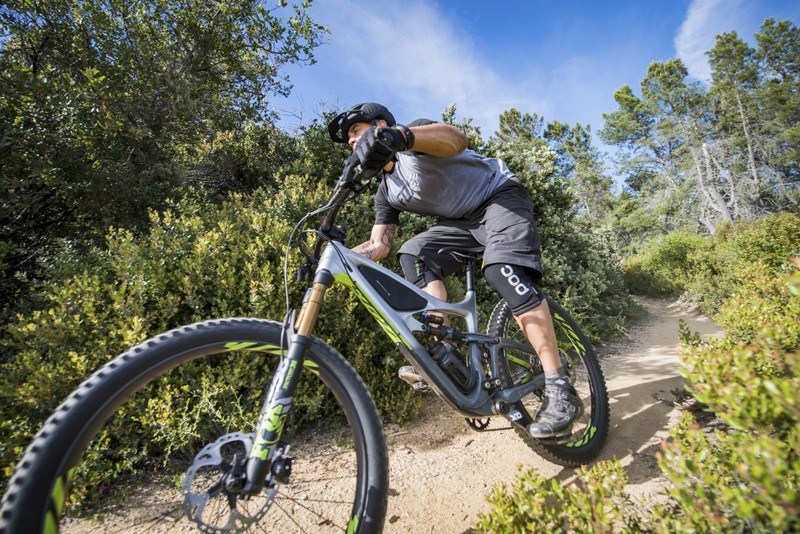 If you’re in the market for a long travel 27.5 enduro bike, you owe it to yourself to give the Mojo HD 4 a test ride. 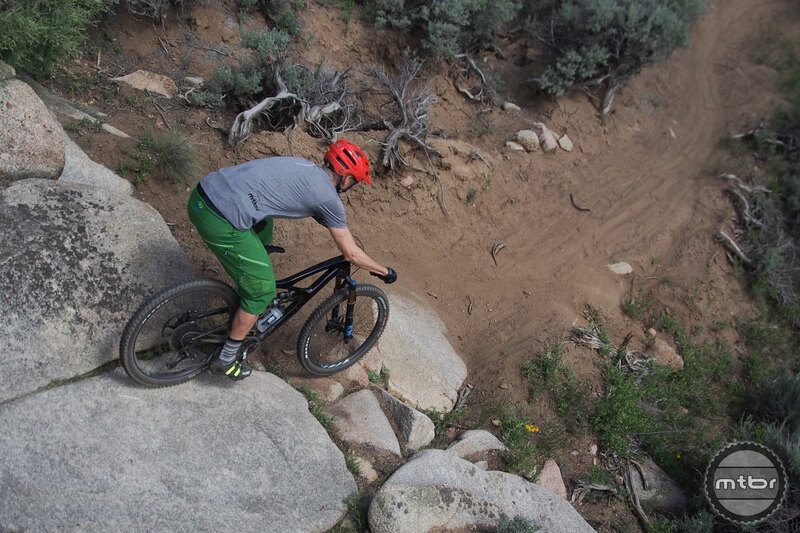 The Pork Chop frame bag makes it even easier to ride sans hydration pack. 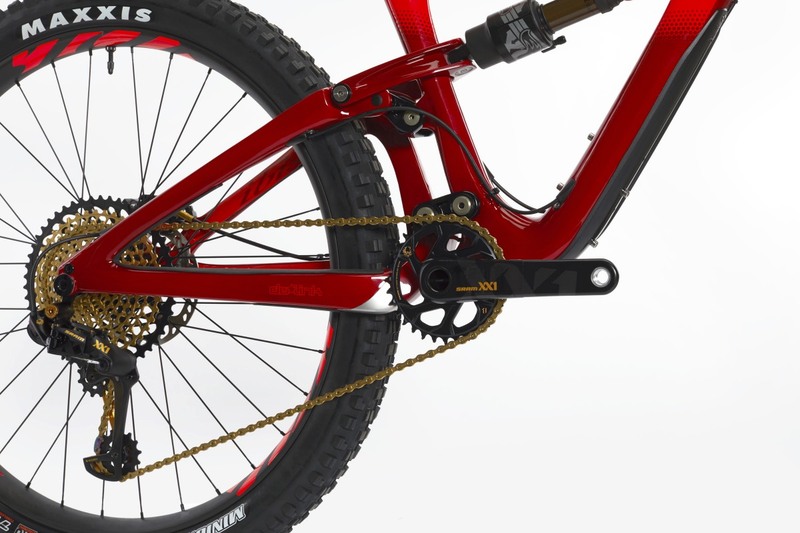 Before we dive further into the bike’s on-trail ability, let’s first give props to the handy little storage area inside the front of the frame. 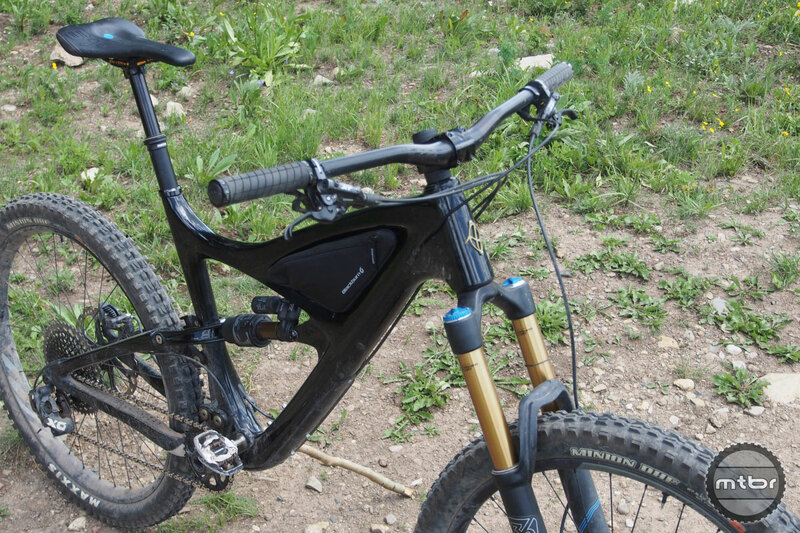 About a month after taking delivery of this tester, Ibis shipped Mtbr its new Pork Chop frame bag that snugly fits inside the front triangle of any Mojo or Ripley. 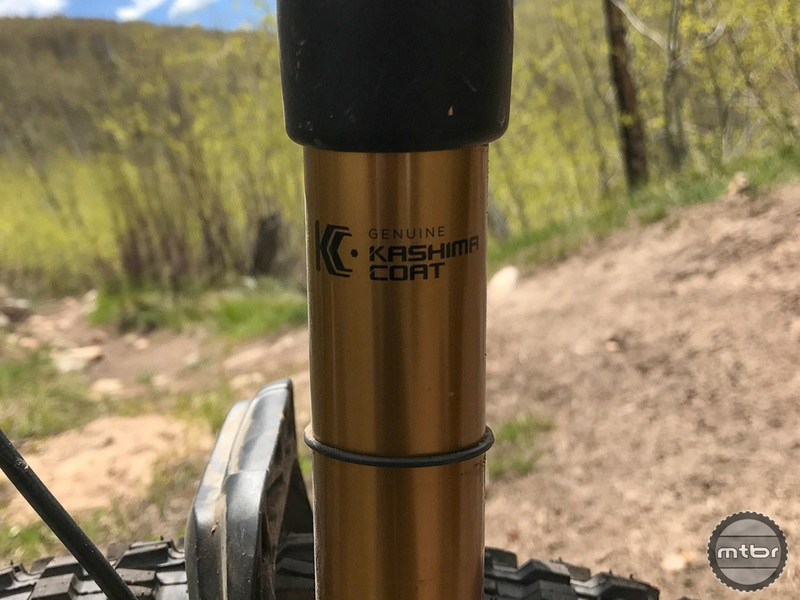 The co-branded and patented design by Ibis and Blackburn uses no paint-dulling straps, and is a great place to stash tools, tubes, CO2’s, and whatever else you feel like taking on your next ride. The bag’s internal suspension is designed to secure the bag without the need for straps. 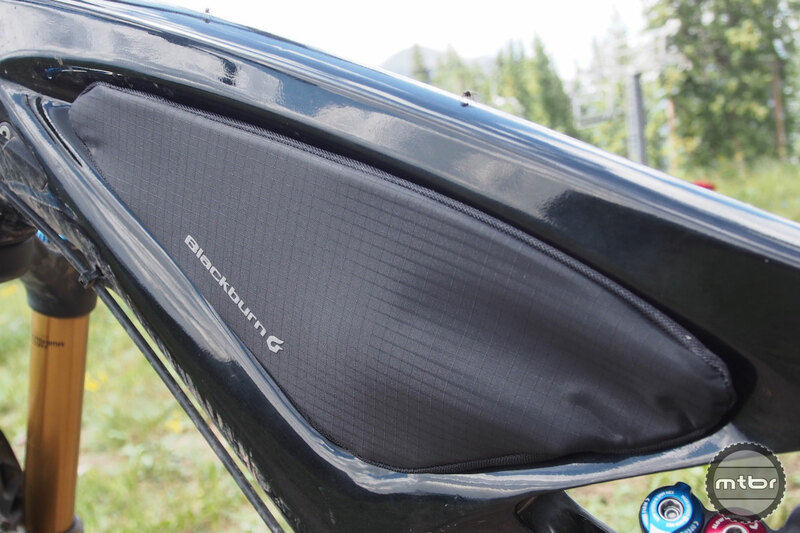 Fabric on the outside is nylon ripstop, and the padded nylon side panels will not rub against your frame. Padding adds to the durability and there is a water repelling zipper tape with an easy to use pull. Combine this bag with the fact that you can get a water bottle inside the frame’s main triangle, and it’s easy to get out for short and medium-length rides without need for a hydration pack. Bag weight is 172 grams. Price is $50. Now back to the bike. 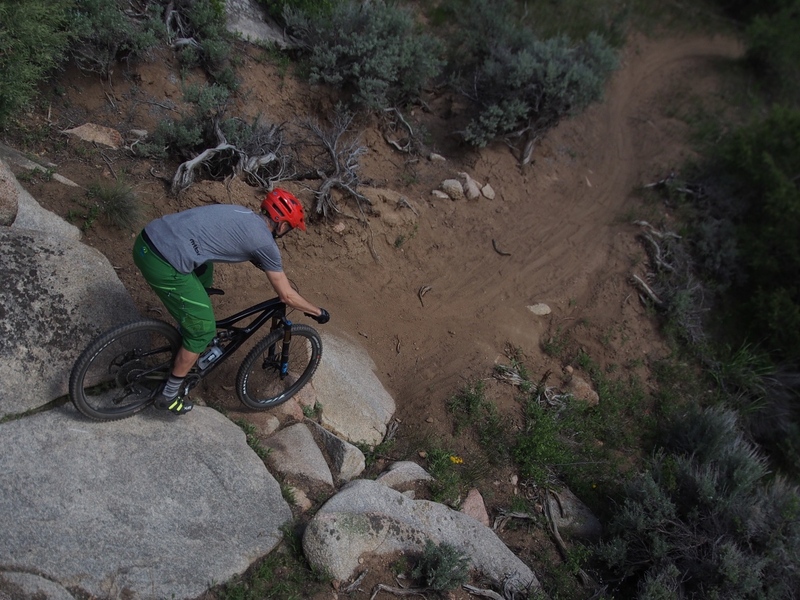 Our biggest takeaway after a summer of riding is just how stable this bike is. I’m the type of rider that tends to go through obstacles rather than seek out hits and pops to get up and over. 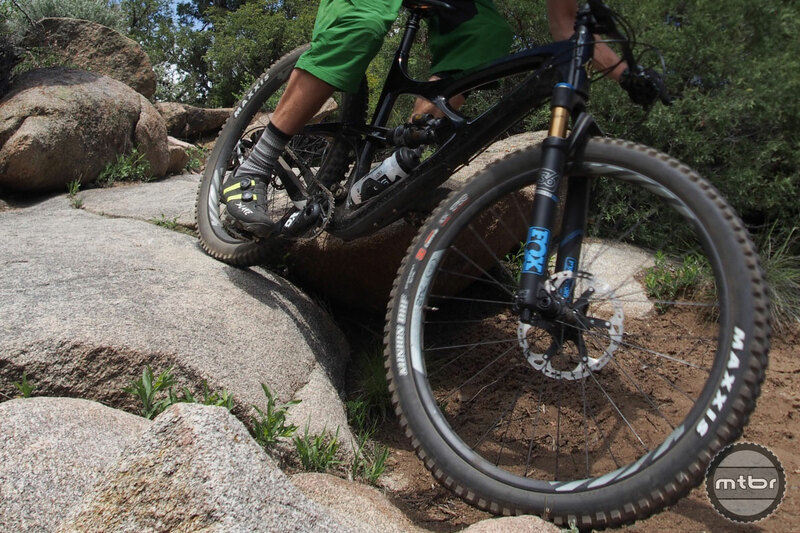 On lesser bikes, this style can get me in trouble, with the bike getting knocked off line and out of control. 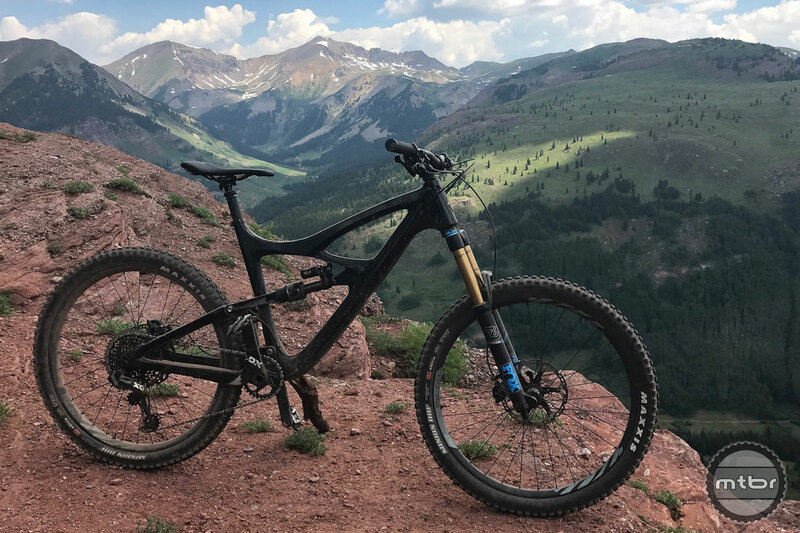 But the new Mojo HD4’s combination of longer reach, slacker front end, and extended wheelbase provides a ridiculously confident and stable feel even in the ugliest chunder or when dropping into steep, sketchy lines. Head angle really is everything when things are at their scariest. 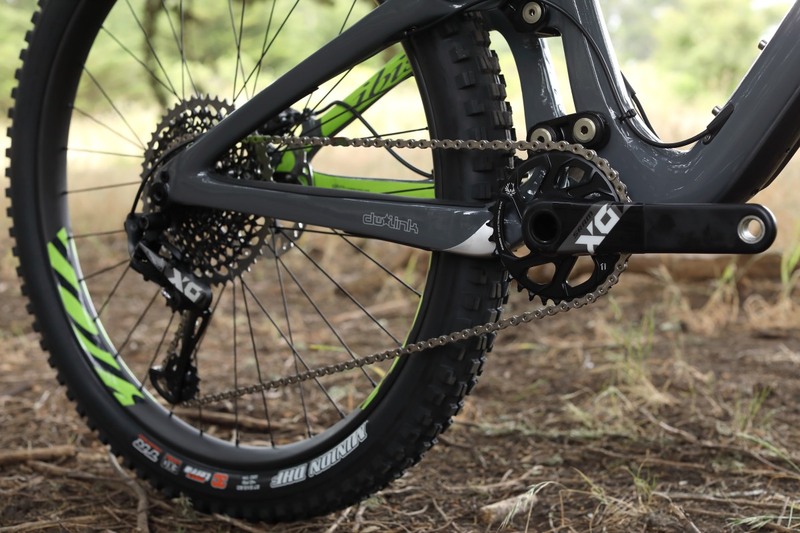 The Maxxis WideTrail Minion DHF 27.5×2.5 is a license to push this bike harder and lean it further. 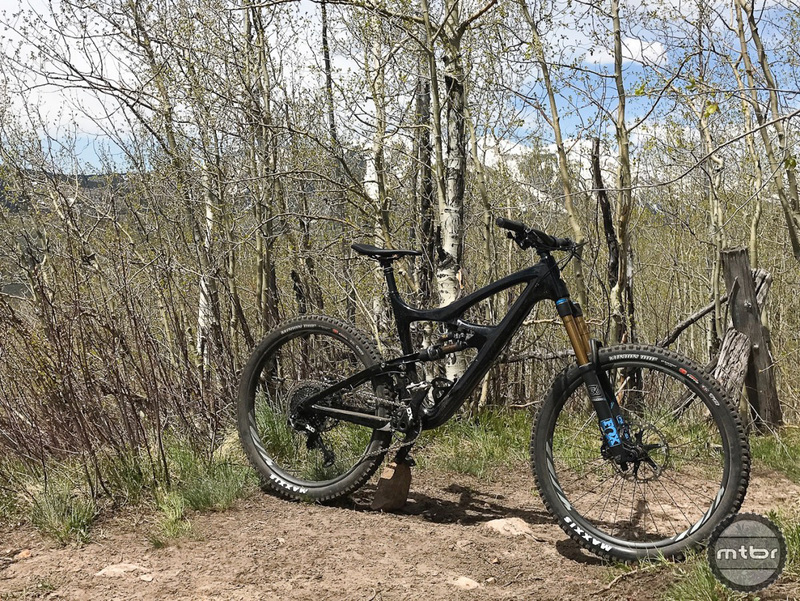 It doesn’t hurt that the bike came stock with 27.5×2.5 Maxxis Minion DHF WideTrail tires wrapped around Ibis 742 carbon wheels with a 35mm inner rim width. 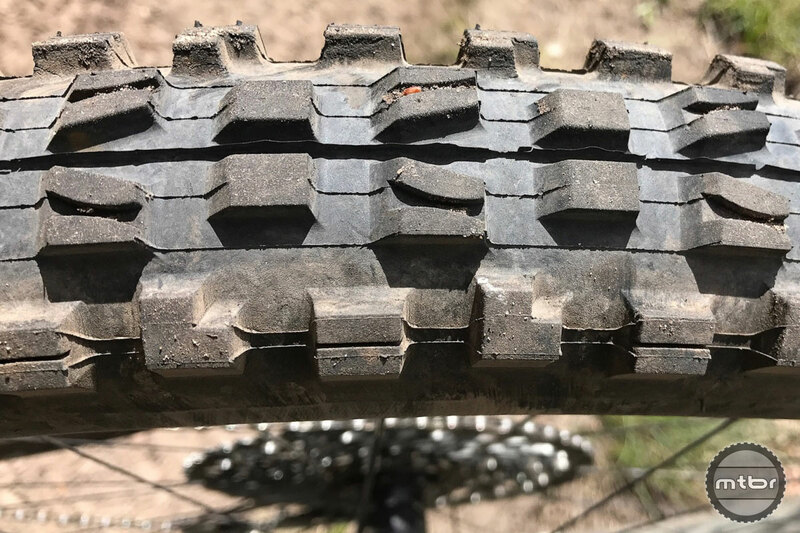 When run around 18-20 psi this wheel/tire combo avails plus-bike-like traction, but without the bounce or squirm that can plague the larger tire set-ups. 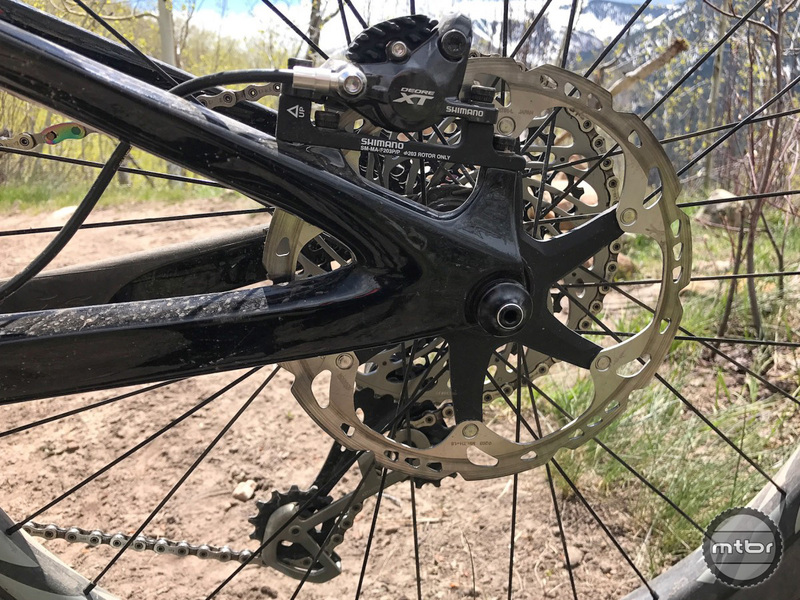 Unless you’re an XC racer or Strava uphill KoM-chasing addict, there’s just no reason to not be running a similar set-up. 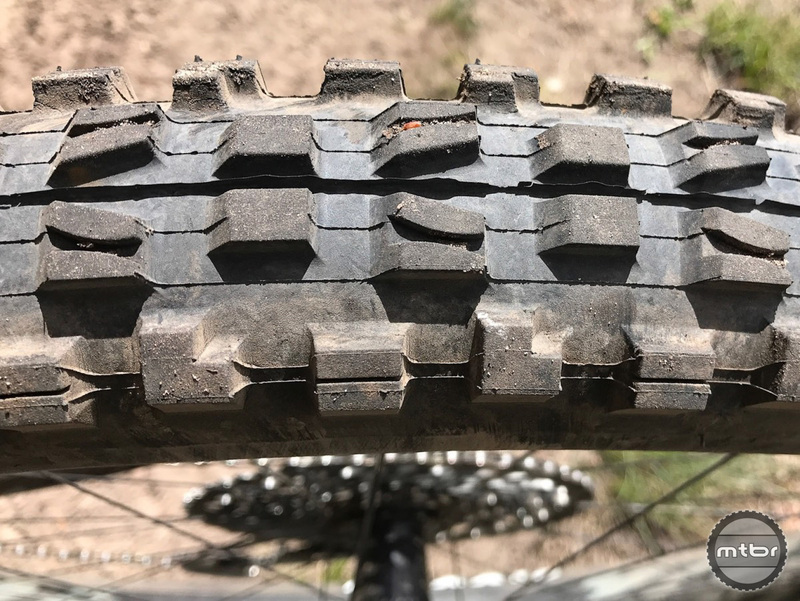 It honestly feels like the industry finally figured out the magic numbers for rim and tire width. 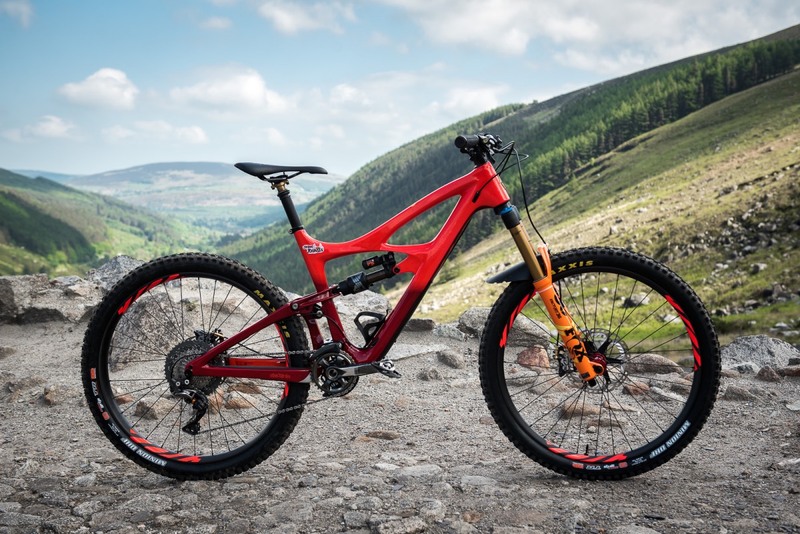 Maybe the most important question with this bike, then, is how does it stack up to the Mojo HD3, another highly regarded Ibis offering. 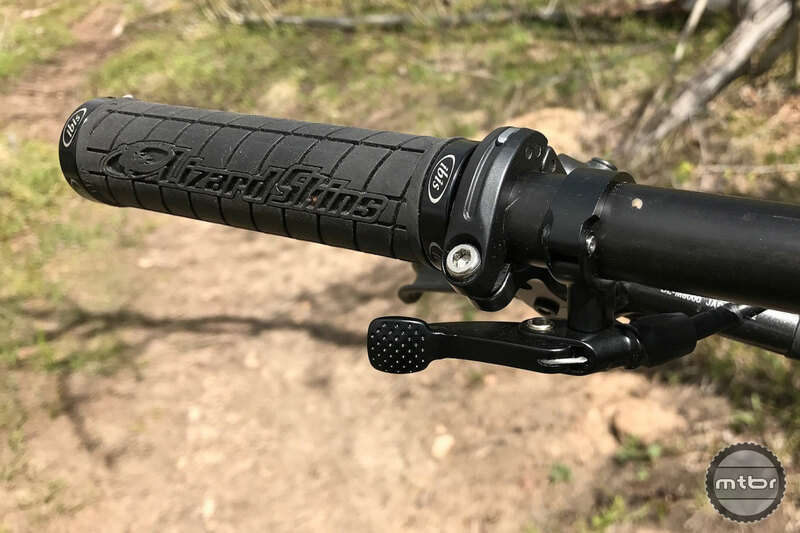 Rear travel is roughly the same at 150mm/153mm, but because Ibis strove to make the HD4 more capable on steep and truly rough terrain, they added length and slackened the head angle. 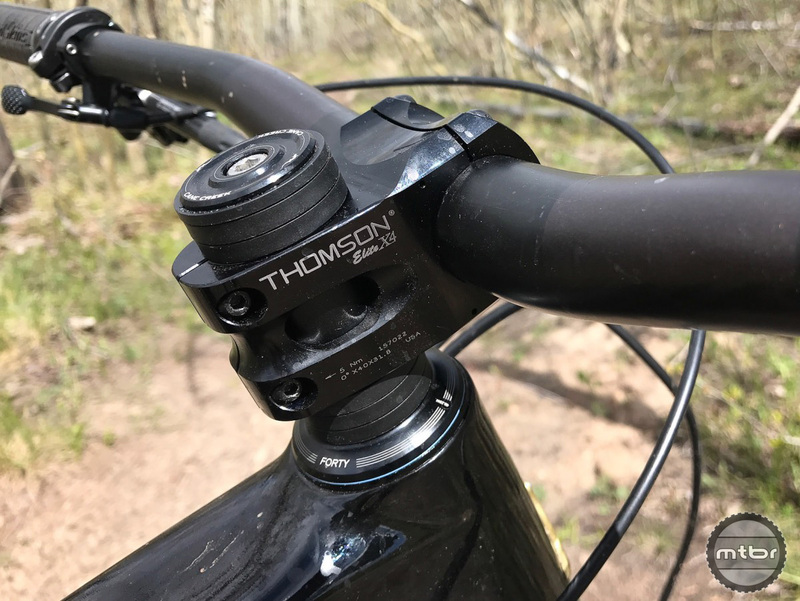 So for a size large, the HD4’s wheelbase is 51mm longer at 1219mm, reach is 24mm longer at 455mm, and the headtube angle is 64.6 degrees versus 66.6. 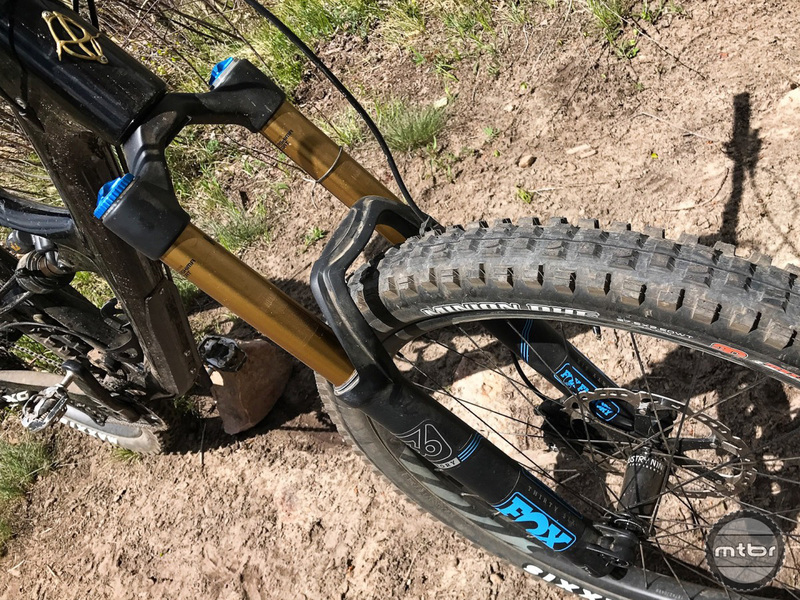 It’s also worth noting that the bump in wheelbase will let some riders go down a frame size and still achieve their desired fit and feel. 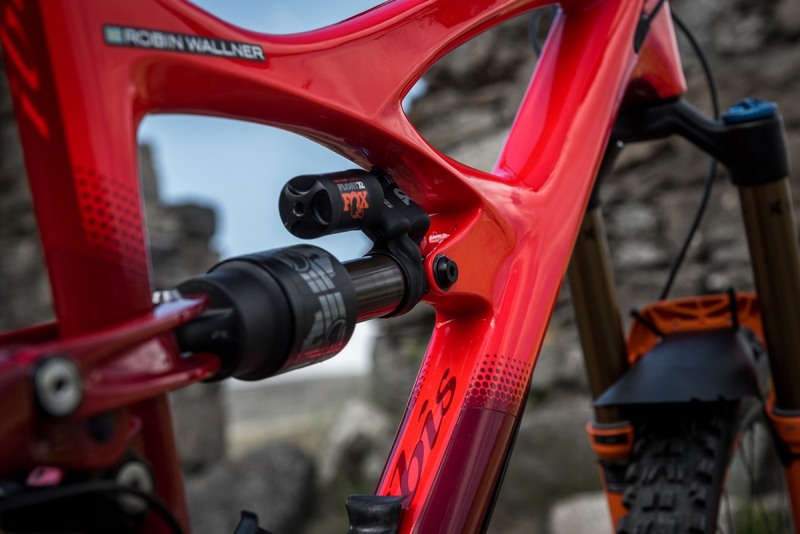 Because of the inherent anti-squat designed into the dw-link bikes Ibis had Fox provide them with ‘open’ shocks, because even their previous light tune shocks provided more base level damping than necessary. What they didn’t do was mess with the suspension design. 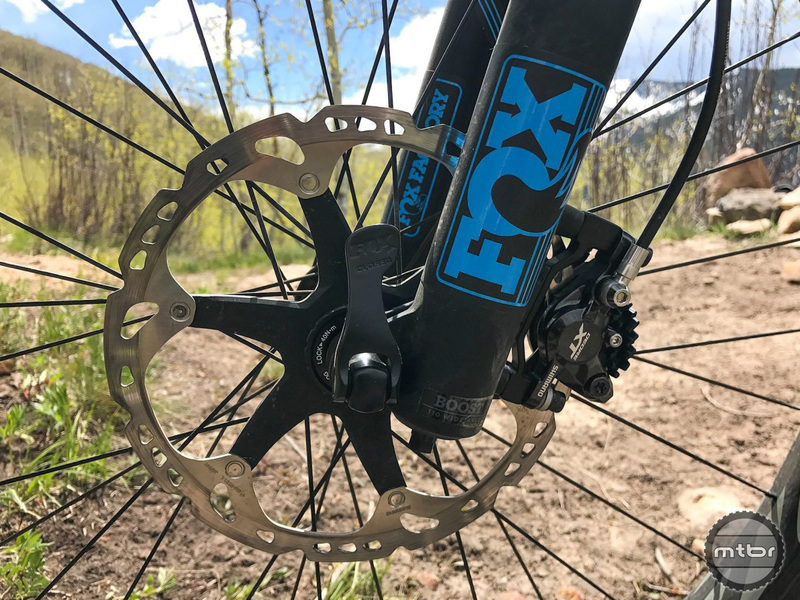 The Mojo HD3 has a rep for being a great pedaler, and the HD4 remains true to tradition thanks to nearly identical suspension kinematics utilized in the dw-link design. 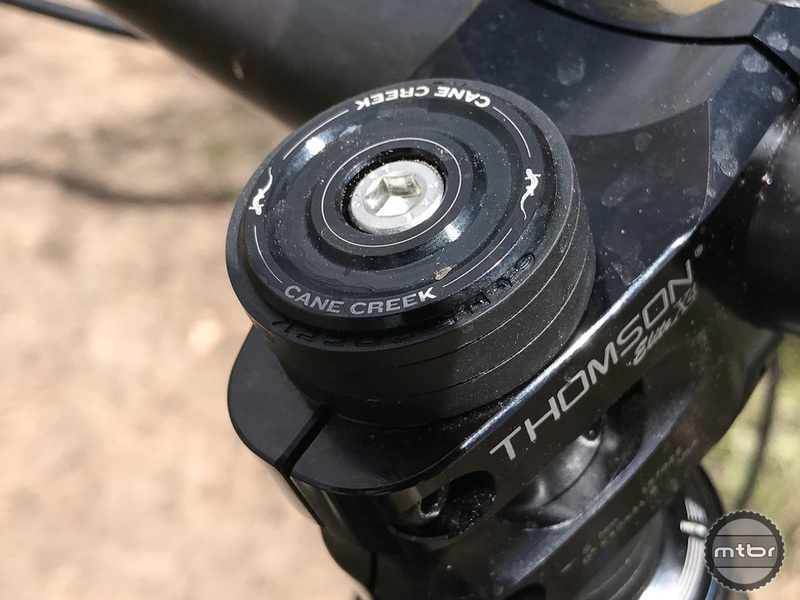 All that said, there is no way around the change in headtube angle and wheelbase, and their effects on climbing, especially the slow ticky tack kind. The Mojo HD4 is by no means clumsy, but it does require its pilot to be more precise when picking lines and ramping up power to clear tricky sections. Flip it around, though and the HD4, clearly outguns the HD3, and does so without sacrificing the poppy playfulness that bike is known for. 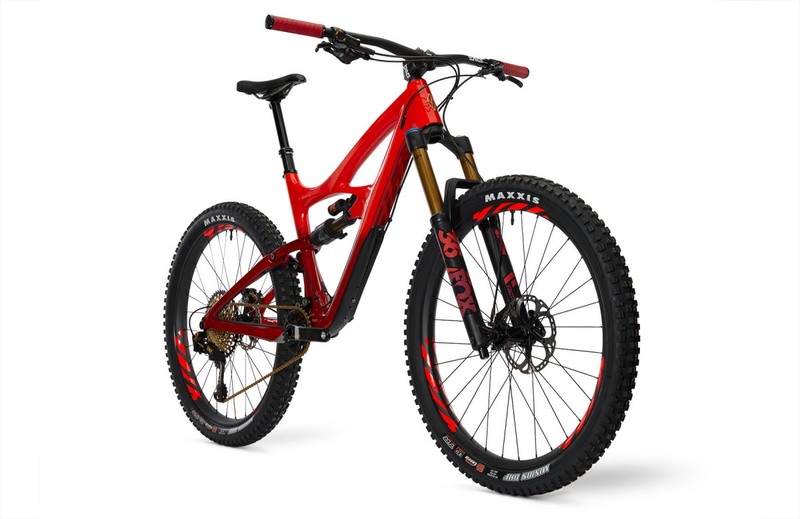 Bottom line, like I wrote below, the Ibis Mojo HD4 has a superbly planted and controlled feel that will allow you to go fast. 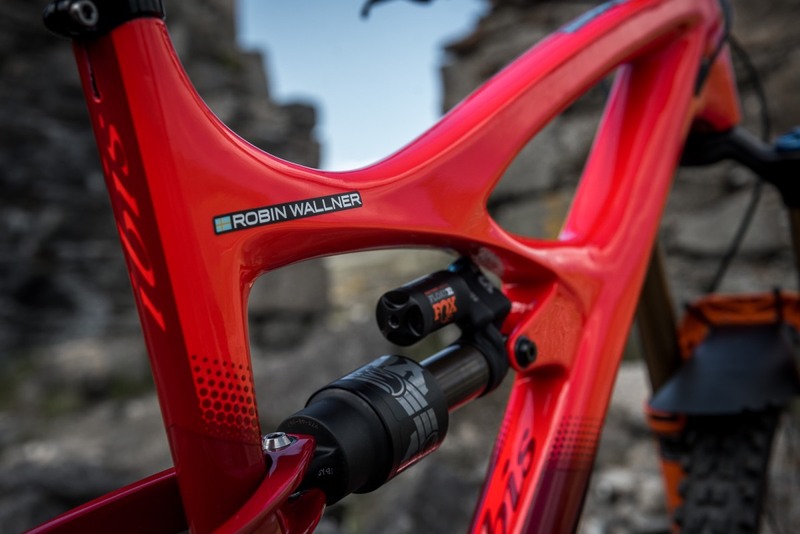 And that’s what it’s all about when talking long travel enduro rigs. Finally, it’s worth sharing that after riding this bike for a couple months, I called up Ibis and gave them my credit card number so I didn’t have to send it back. It’s really that good. Now back to the original post, which went up in May when the bike first launched. 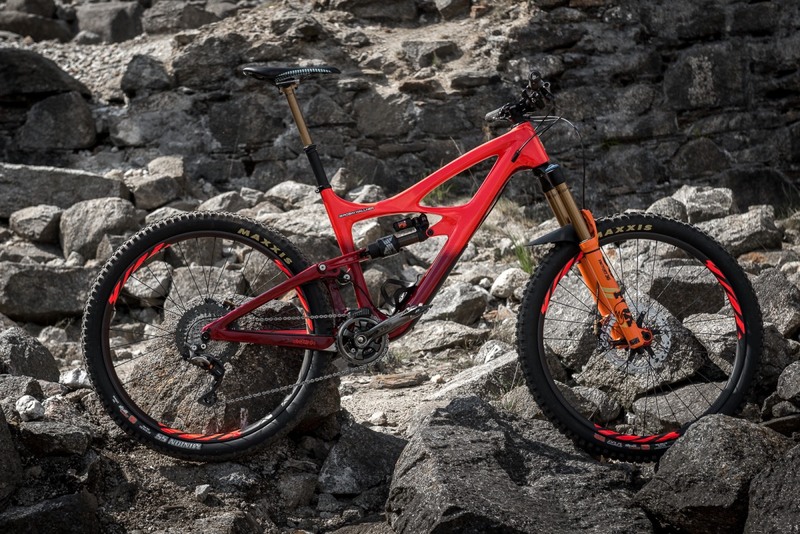 The much-loved enduro-slaying Ibis Mojo HD3 has gotten a makeover for 2017. 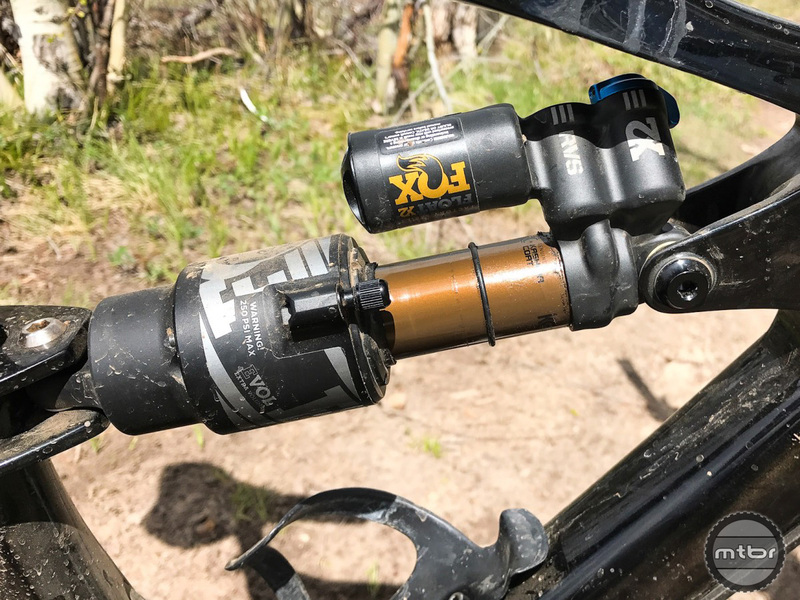 Now appropriately dubbed the Mojo HD4, the just released rig is even slacker than before, now with a 64.9-degree head tube angle compared to 66.6 before. 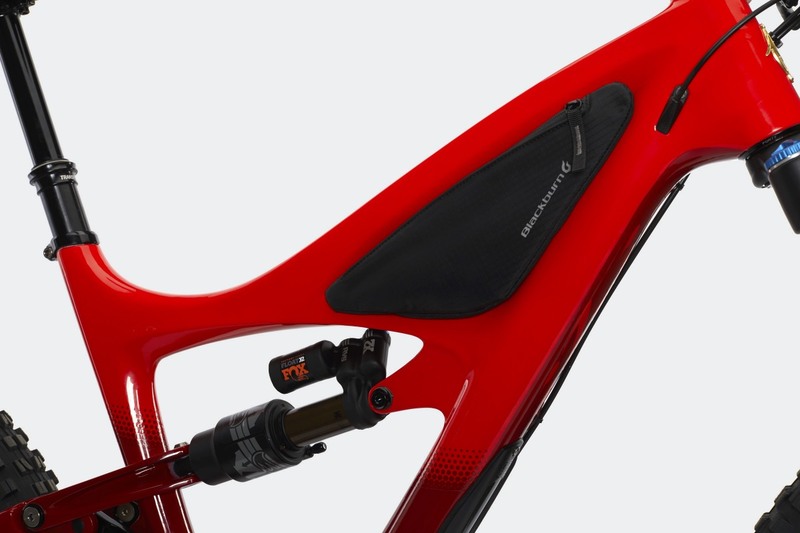 The seat tube angle also increases, landing on 74 degrees (on the HD3 it ranged from 72.6 to 73.6 depending on size). 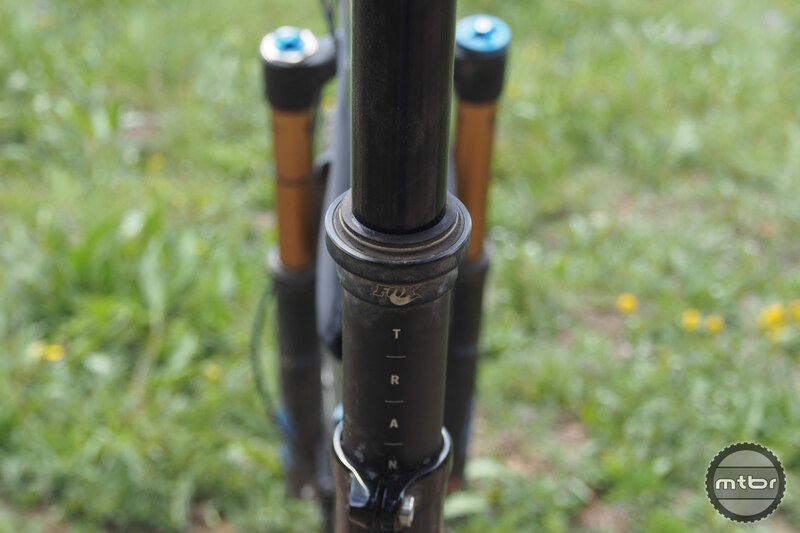 Rear travel is 150mm (technically 153mm), while 160mm is standard up front, though it’s approved for up to a 170mm fork. 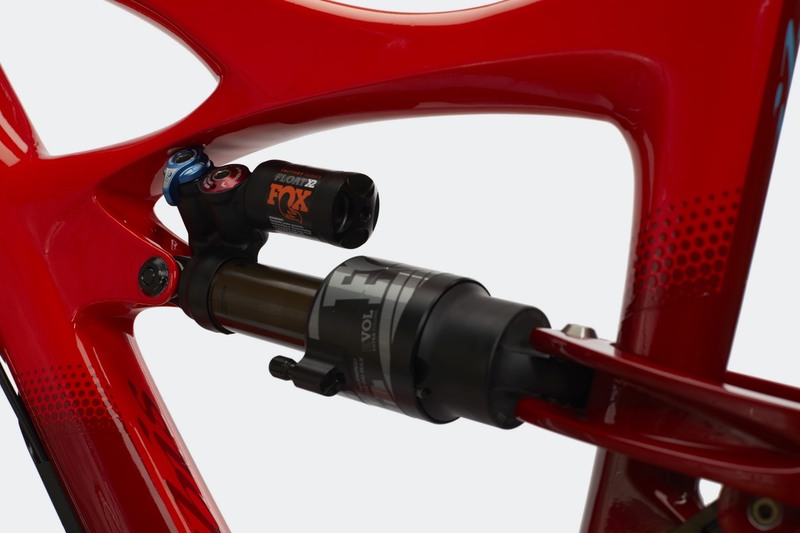 The new bike also has accommodation for longer dropper posts thanks to a seat tube length reduction and bore depth increase. 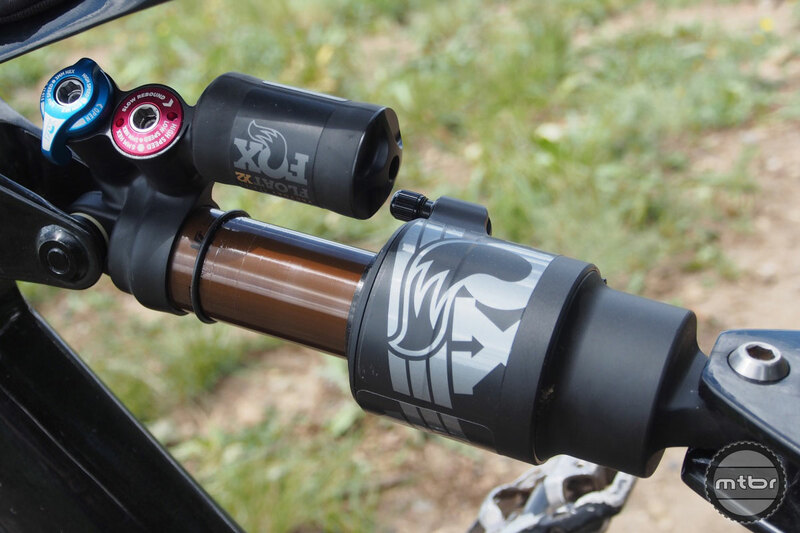 Mtbr tested a 150mm Fox Transfer, but it will go all the way to 170mm when using the KS Lev or RockShox Reverb, according to the Ibis website. Wheelbase also saw change, lengthening across the size range. 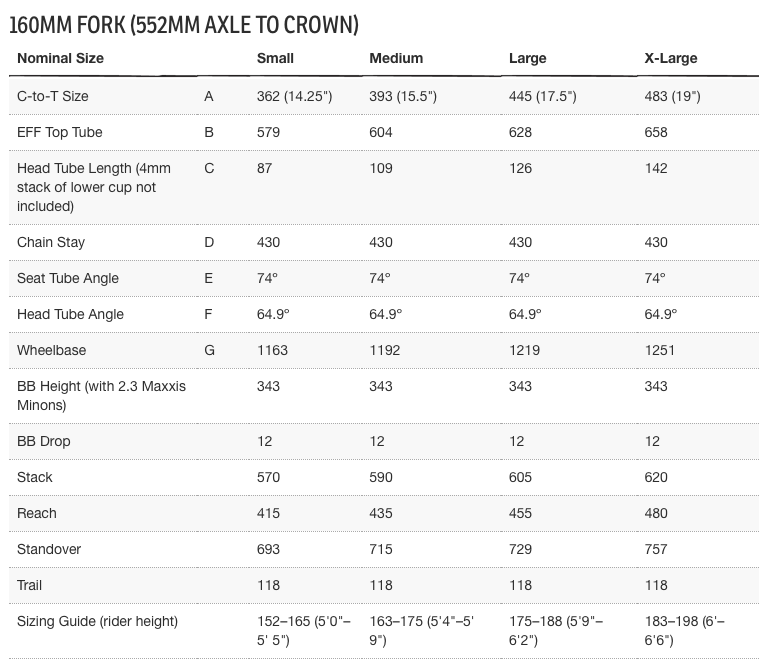 It’s now 1163mm, 1192mm, 1210mm and 1251mm for frames S-XL. For the HD3 those numbers were 1135mm, 1146mm, 1168mm, and 1189mm. 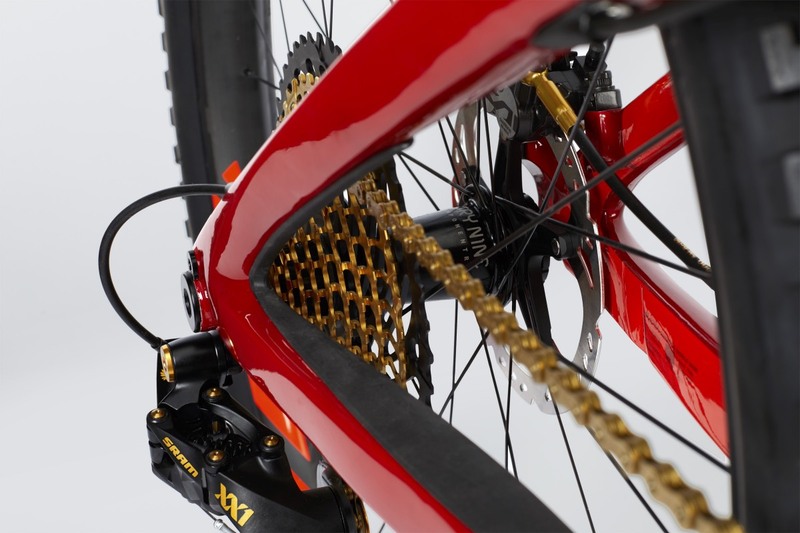 Chainstays remain the same at 430mm across the full size range. 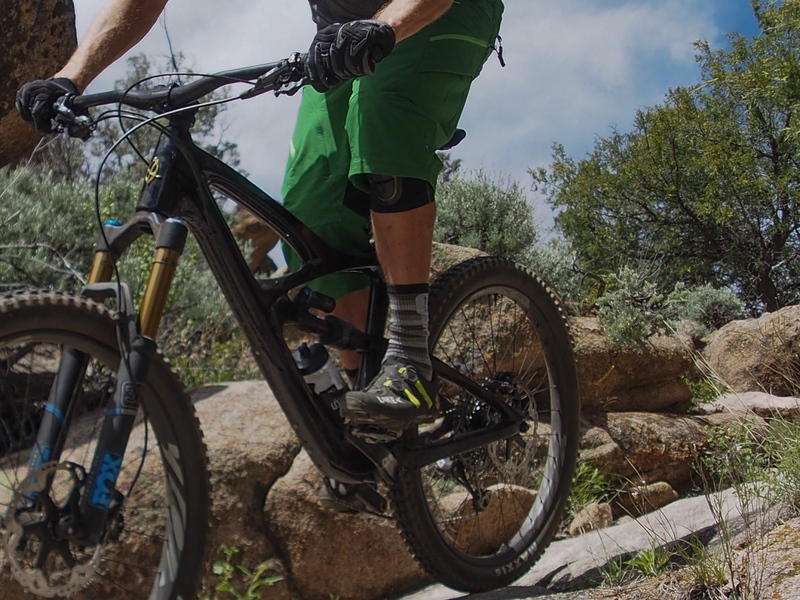 The boosted 27.5 bike fits tires up to 2.8 and comes in two frame colors Fireball Red and Anejo Silver and Lime. 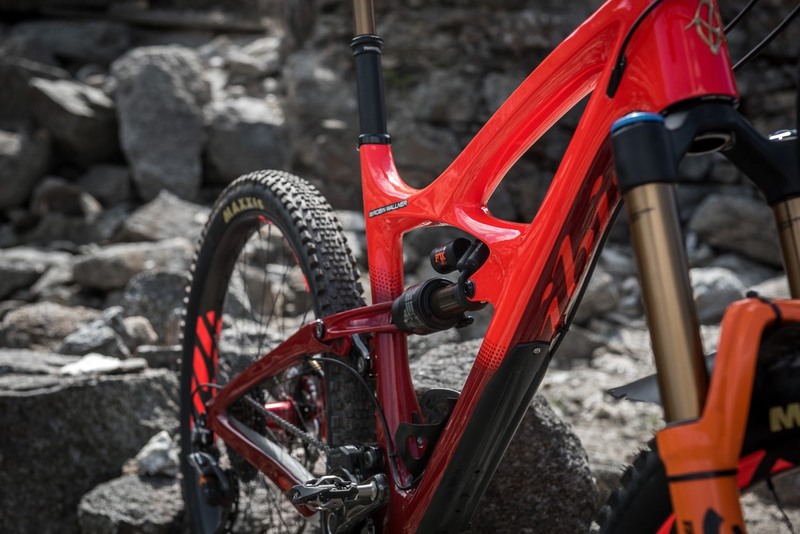 The bottom line, says Ibis, is a bike that’s focus is on stability and speed where big hit performance is enhanced through increased progression in the shock tune. On sale date is June 15. Frame only will be $2999, with build kits starting at $4199. This size XL tester pre-production set-up weighed in at 29.2 pounds. 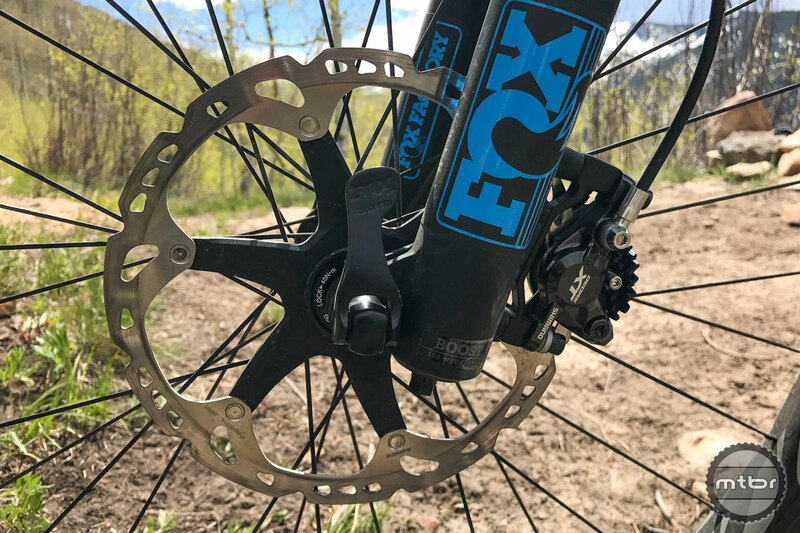 Mtbr has had a pre-production frame in house for a couple weeks that featured the following spec: Fox 36 Factory fork, Fox Float X2 Factory shock, Ibis 742 carbon wheels with Industry Nine hubs, Maxxis Minion DHF 27.5×2.5 tires, Shimano XT brakes and SRAM X01 Eagle drivetrain. Weight as tested was 29.2 pounds. 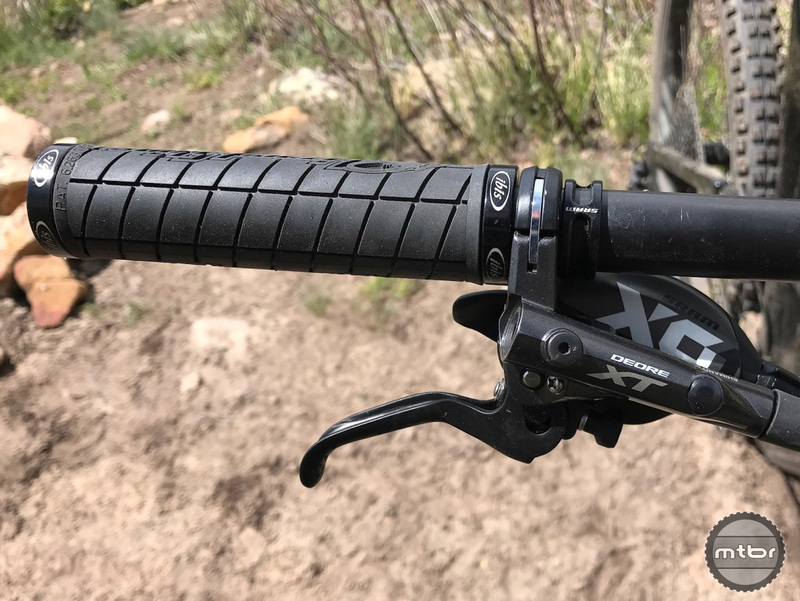 Here are full geo numbers and some first ride impressions. Full geo breakdown (click image to enlarge). 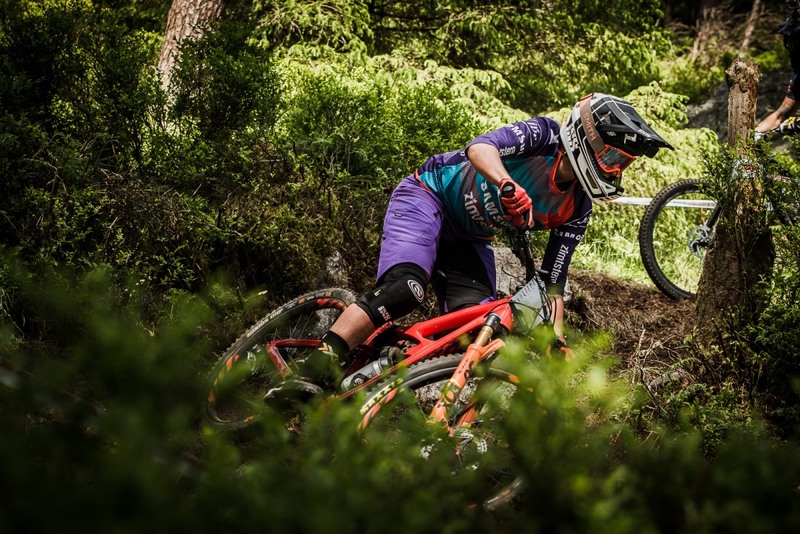 The new Ibis Mojo HD4 made its racing debut a few weeks back at the Enduro World Series stop in Portugal, when team riders were spotted on course with pro-production frames. But the true world unveiling came this past weekend in Ireland at round No. 4 of the EWS. The results were impressive. 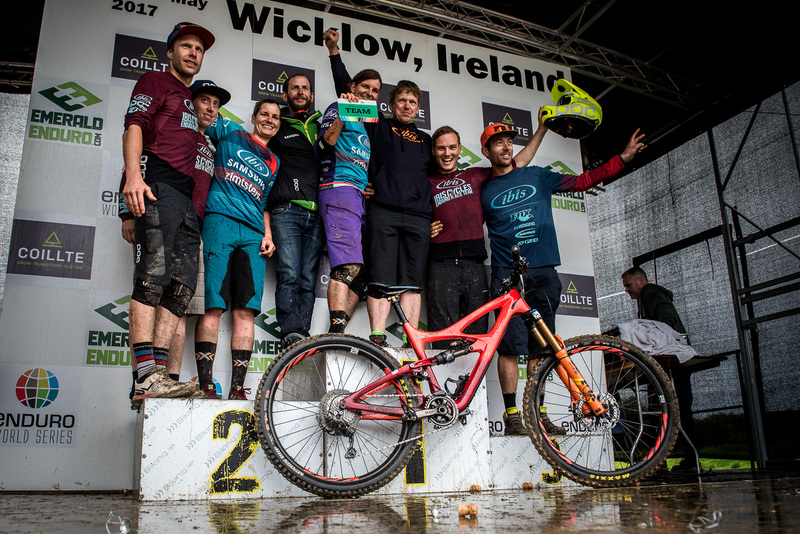 Two team riders recorded personal best performances, and four riders landed inside the top 10, which easily kept the Ibis enduro team at the top of the overall standings. 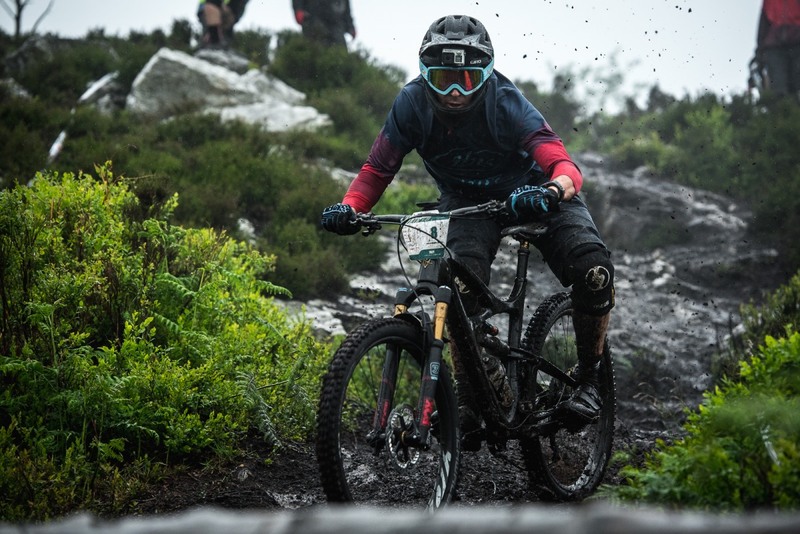 Team captain Robin Wallner of Sweden had his best ever EWS finish, placing sixth in the men’s pro race. Afterward he had nothing but glowing praise for the new HD4. 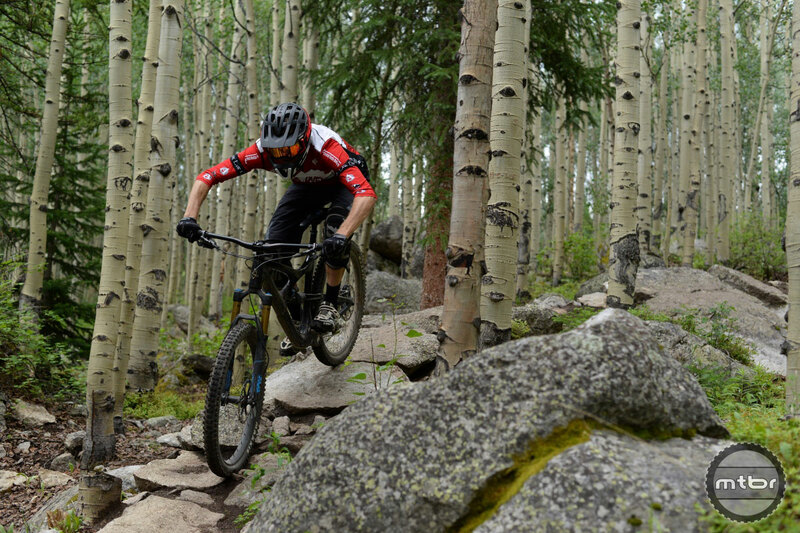 “When the trail points downhill and things get steeper, the bike is easy to move around, giving me that extra bit of confidence,” he said. 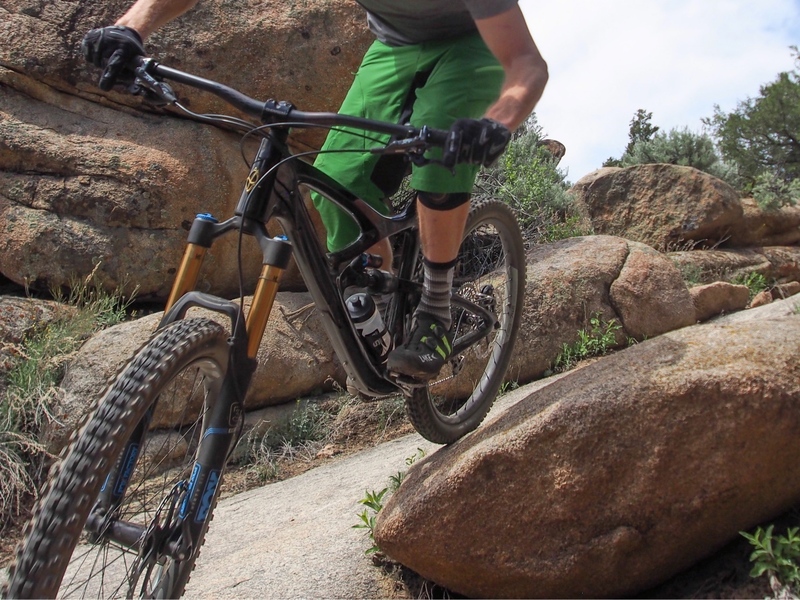 With just a half dozen rides on the new bike, it’s irresponsible to draw any long-term conclusions. 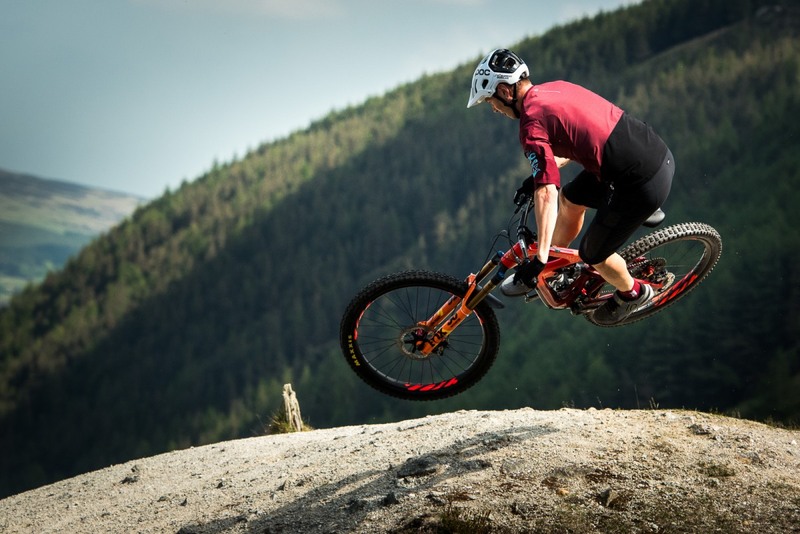 But if initial experience is any indicator, the Mojo HD4 will pick up right where the Mojo HD3 left off as one of the best performing enduro bikes on the market. Say what you will about Strava, but as a product tester it’s a great way to compare efforts on various bikes. So far the Mojo HD4 has proven to be a weapon of mass PR destruction. 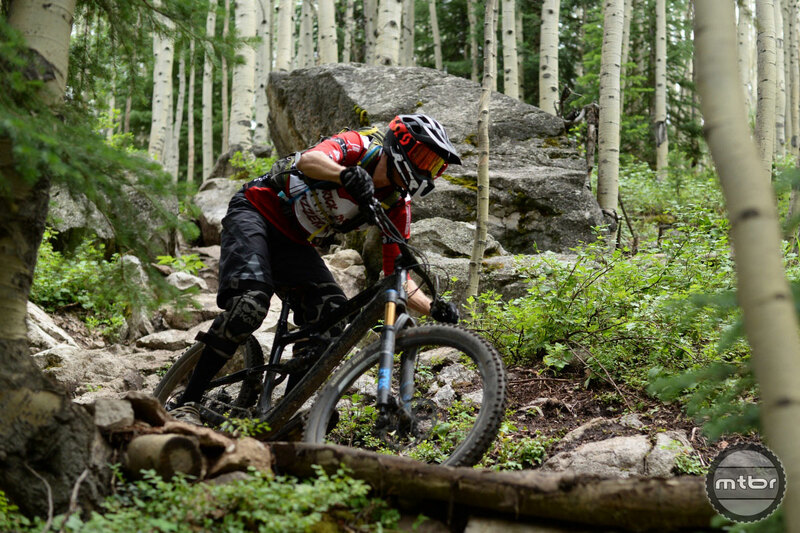 In the span of two weeks, I’ve scored at least a half dozen downhill segment personal records, including one KoM, which isn’t easy to do in a place like my home testing grounds in Crested Butte where practically everyone is fast. The reason for this can be chalked up to one word: confidence. You can simply point this bike at or down just about anything and come cleanly out the other side. 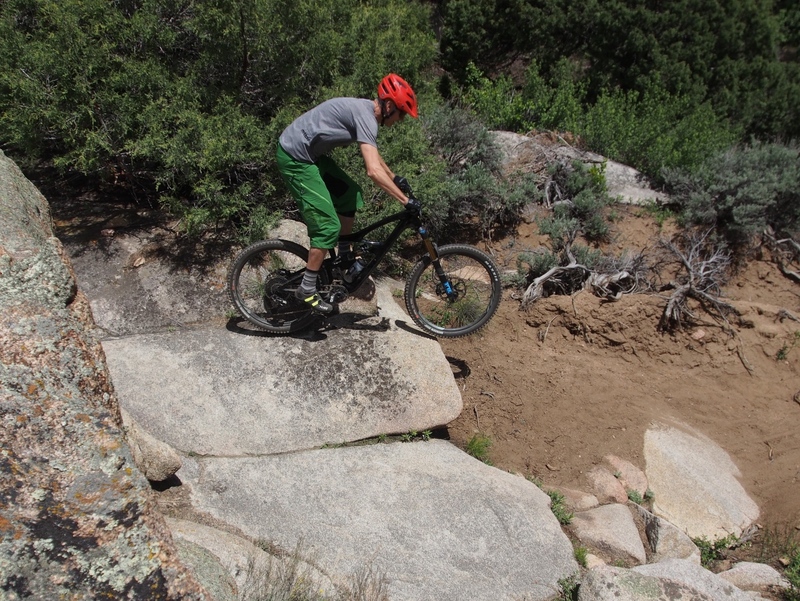 It has a superbly planted and controlled feel, maintaining traction, and railing through corners with snappy precision. Just as impressive is how well-mannered this bike is going uphill. 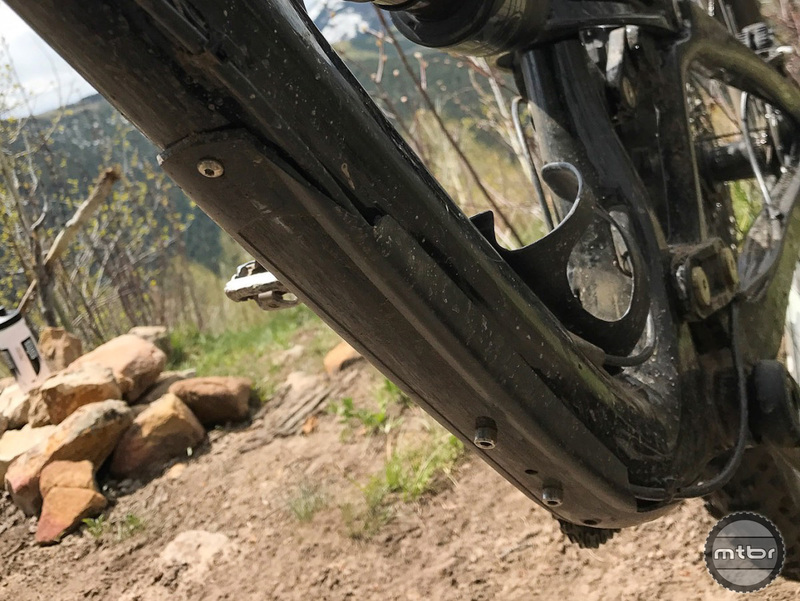 You’d expect a front end with a 64.9-degree head angle to flop around like a fish when ascending, but the steep seat tube angle does a great job of keeping its pilot’s weight far enough over the front wheel that vague steering has not been a real issue. 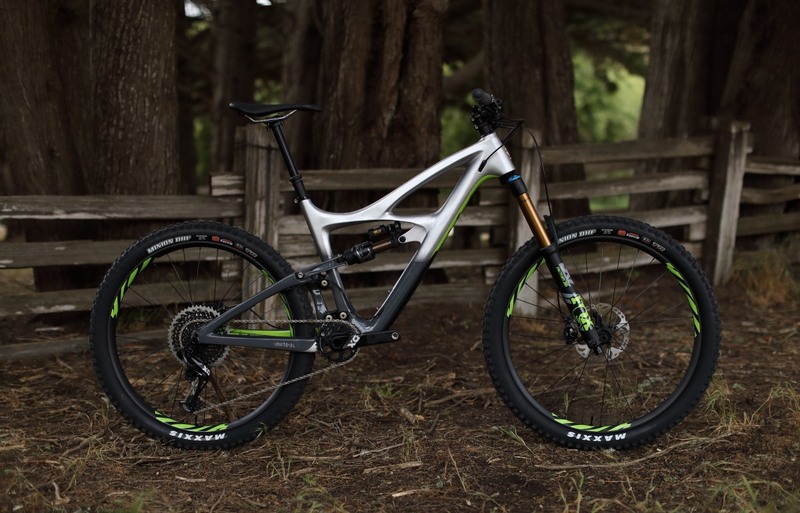 No this will never be confused with an XC racer, but unlike other enduro rigs I’ve tested, I could honestly see reaching for this bike on an everyday basis just as you’d do with a well-rounded trail bike. 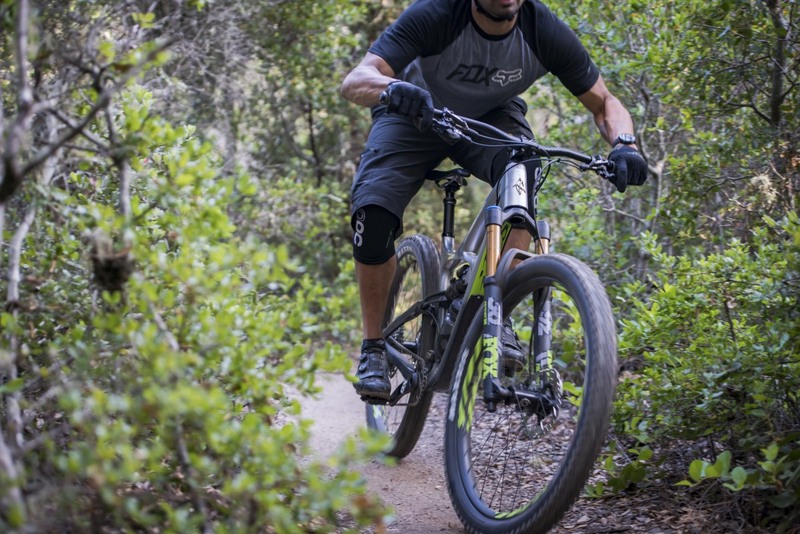 But in this case the bike has 6 inches of bottomless travel and a slacked out front end that’ll let you change through just about any obstacle without concern for your dental work. The feel is superbly planted and controlled, yet still plenty poppy and playful when the situation (or inclination) calls for it. 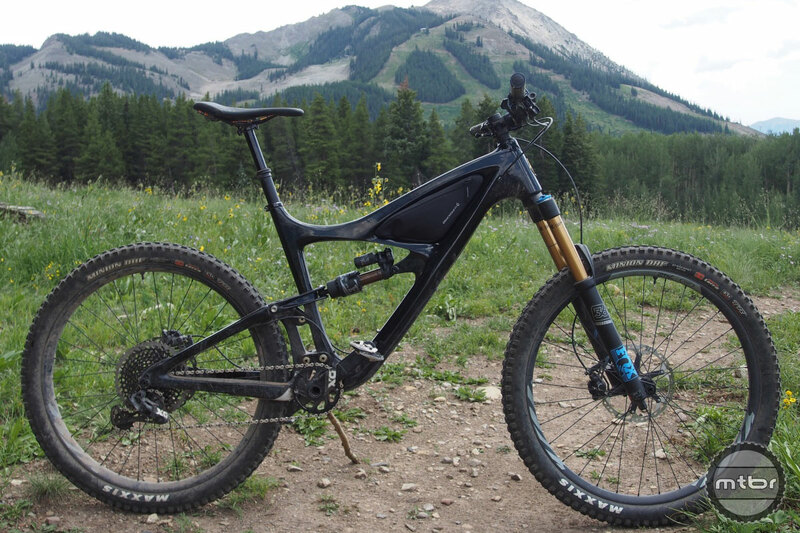 (Ibis willing) we’re planning on logging more miles on this test bike in the coming months and will update with a longer-term review then. 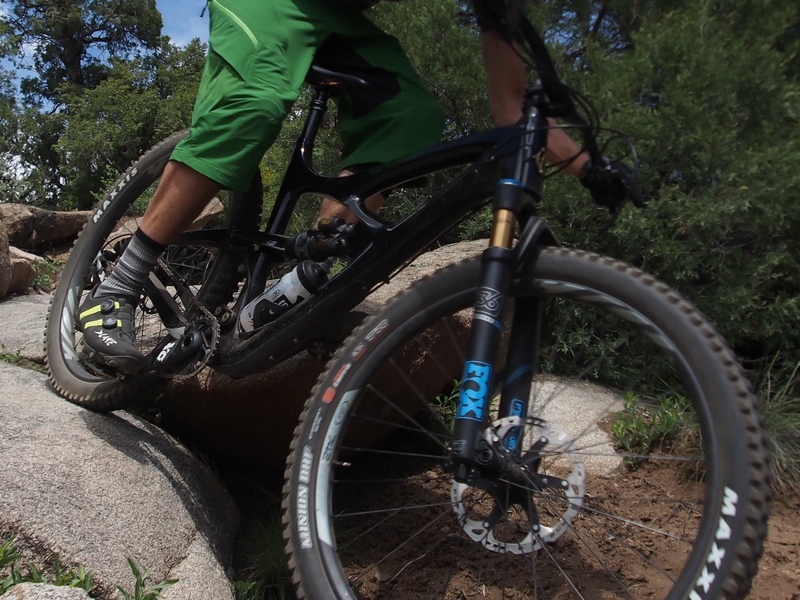 For now, though, it’s a big thumbs up for the new Ibis Mojo HD4. 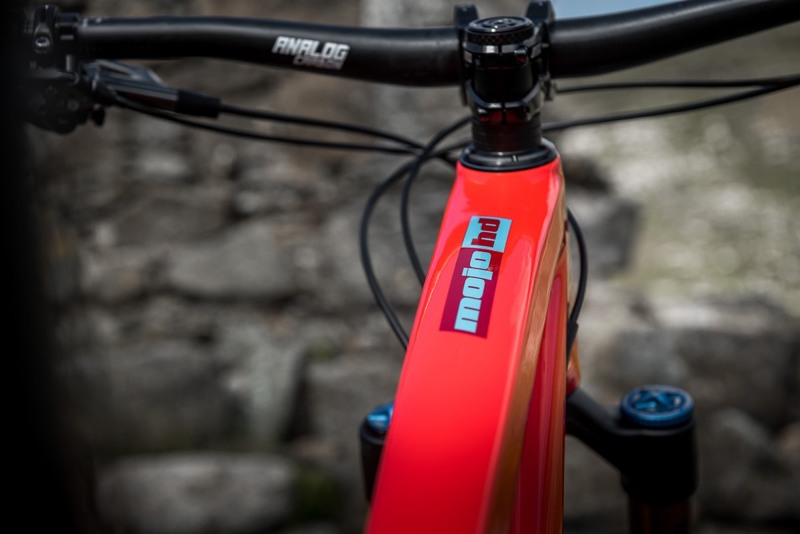 The big change from the Mojo HD3: longer, slacker, and even more capable. Wide tires on wide rims is the only way to go. 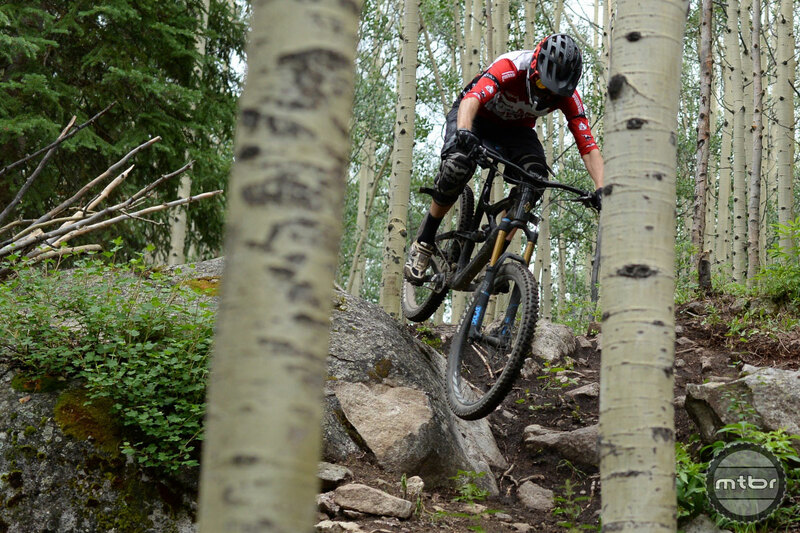 Places such as Crested Butte’s Evolution Bike Park are this bike’s happy place. 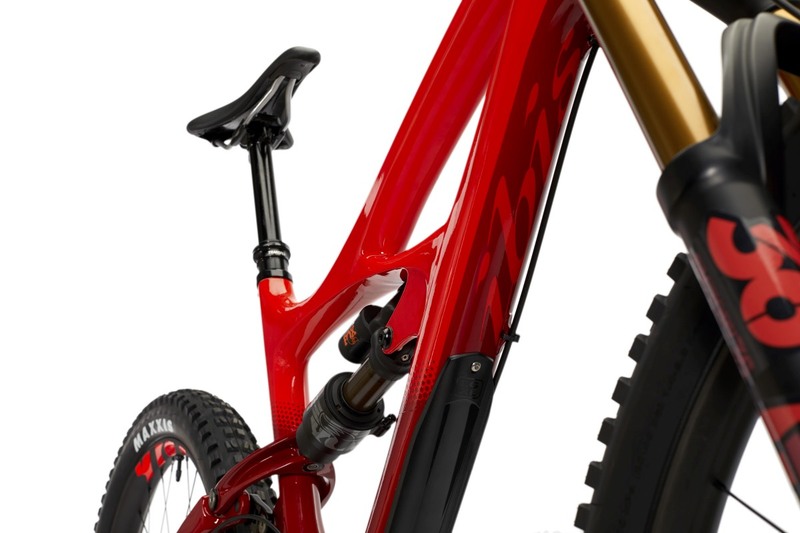 Stem length is just what you’d expect on a bike like this: stubby. 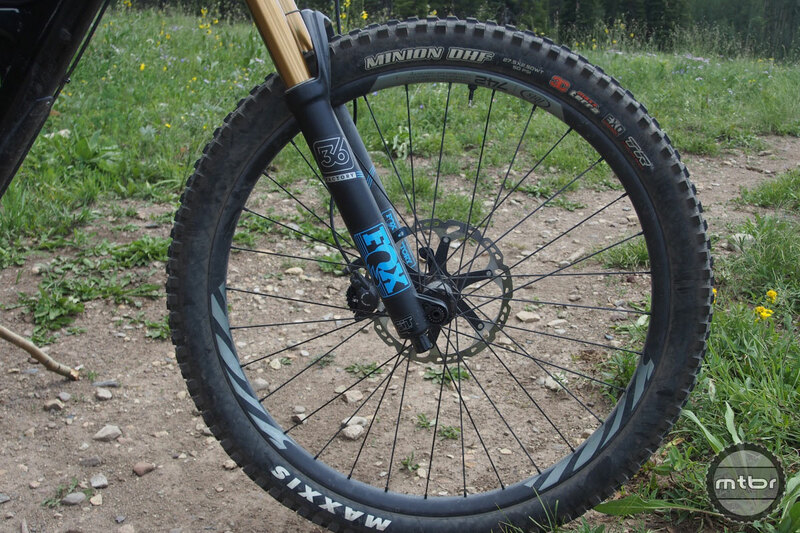 The Maxxis WideTrail Minnion DHF 27.5×2.5 is a license to push this bike harder and lean it further. 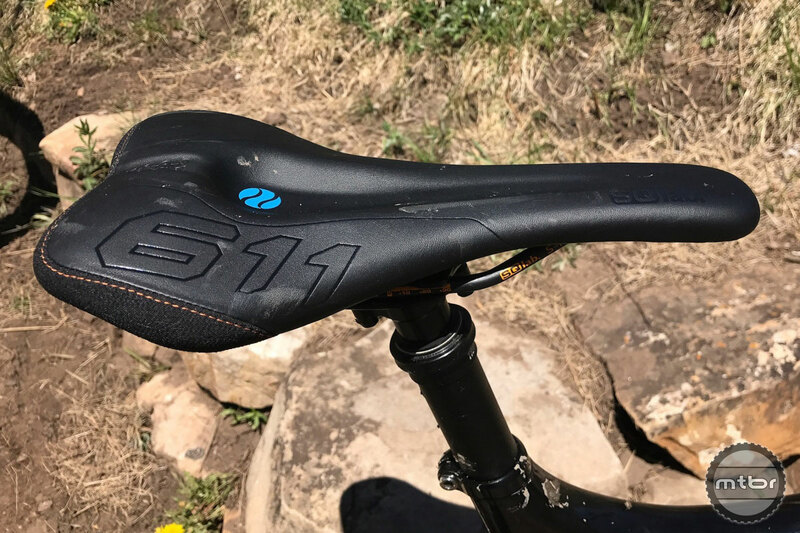 We swapped out the saddle for the excellent SQlab Ergowave 611. 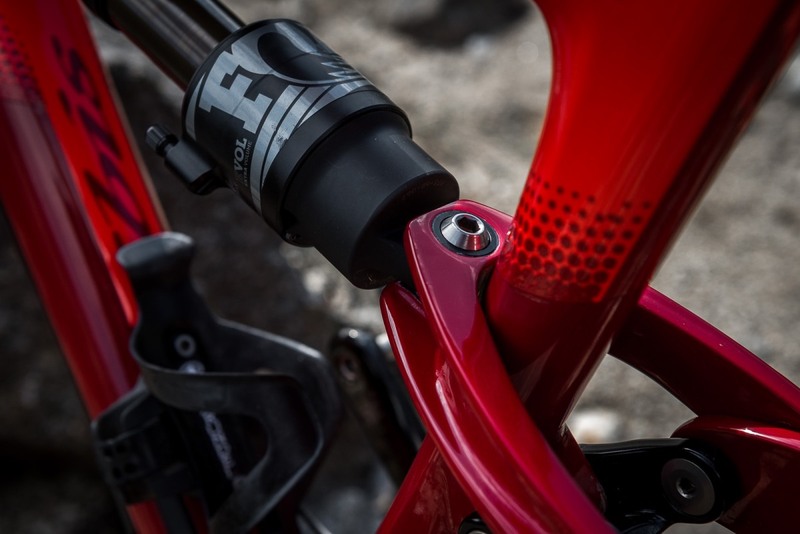 The stock Fox Transfer dropper post has developed a tiny bit of side-to-side play, but has been otherwise reliable. 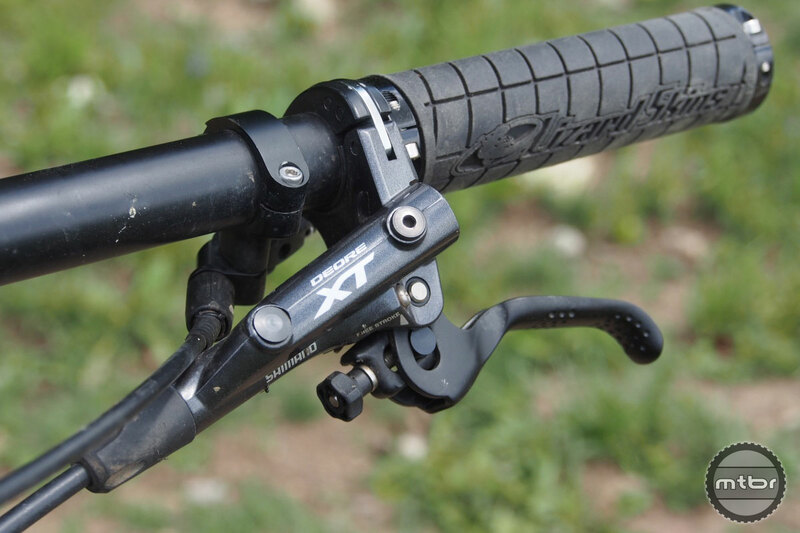 The Shimano XT brakes are decent, but a bike of this stature probably deserves a little more stopping power. Have frame bag will travel. 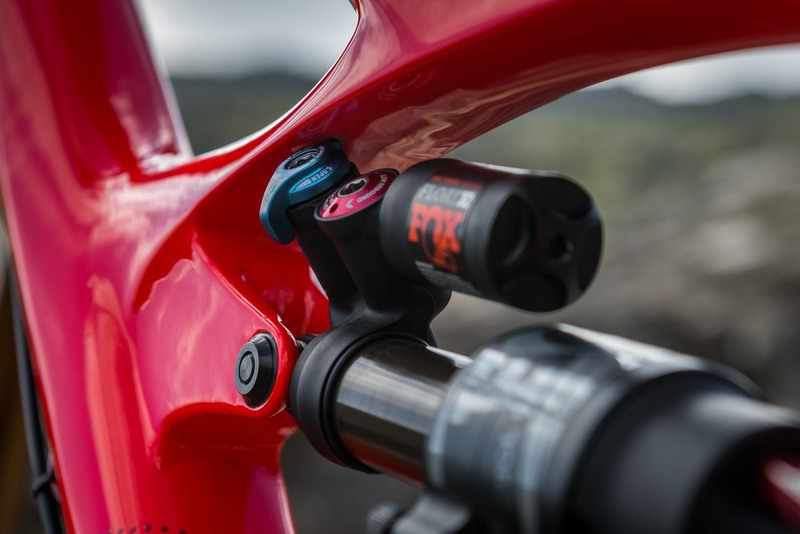 The Fox Transfer dropper lever is well positioned. Big rotors for a big bike. 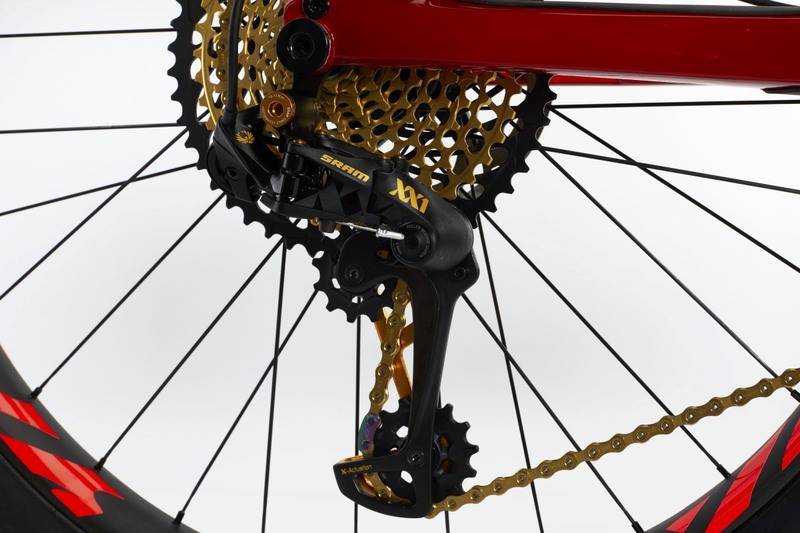 Rotor spec is 203mm front and rear. 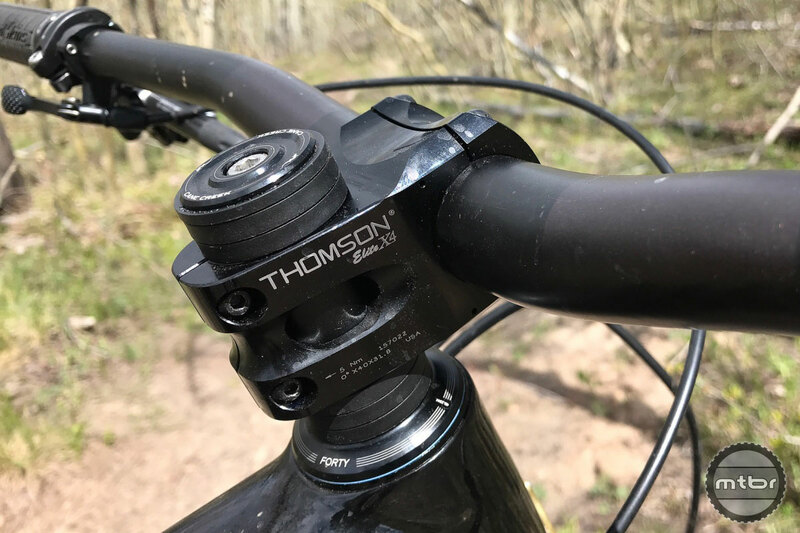 Cane Creek and Thomson is never a bad combination. 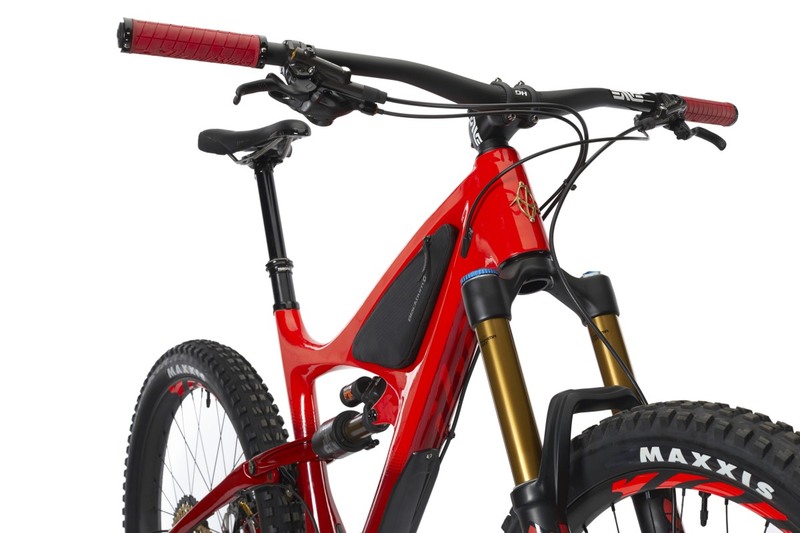 The frame can now accommodate a flipped piggyback shock — and a full size water bottle. 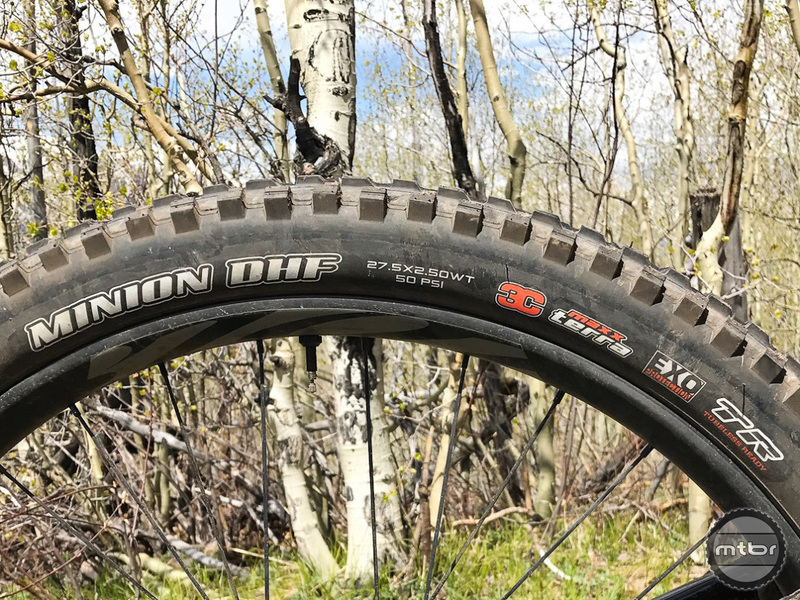 Our new favorite tires, Maxxis Wide Trail Minion DHF 27.5×2.5. 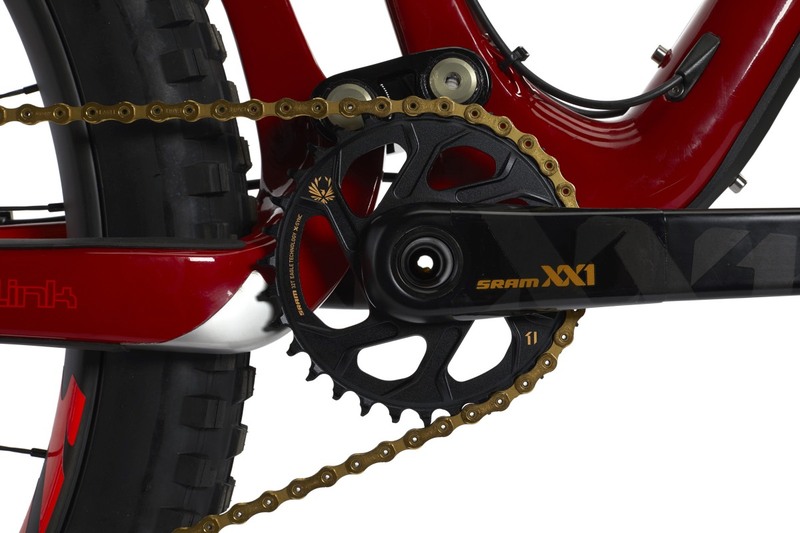 Chainstay length remained the same at 430mm across the size range. But wheelbase increased slightly. 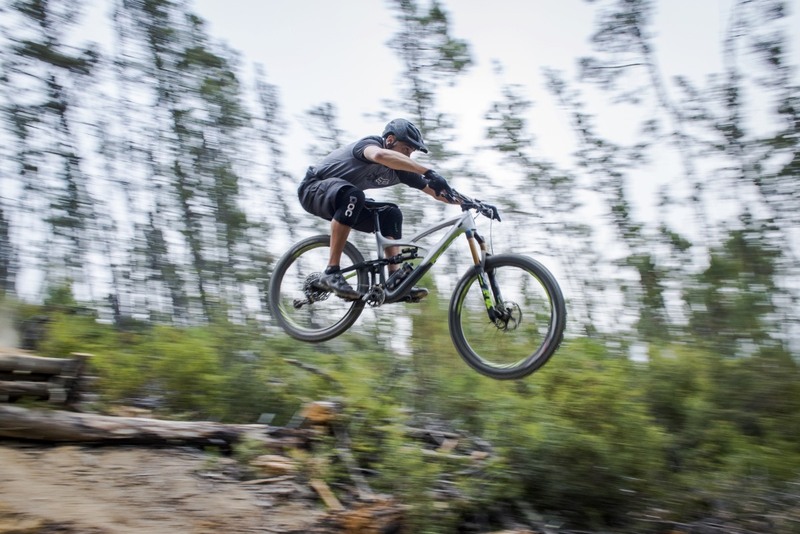 Will Sam Hill be the new king of enduro? money does buy happiness. now where do i get $8k? I’ve been on this bike for about a month now and am definitely in love. 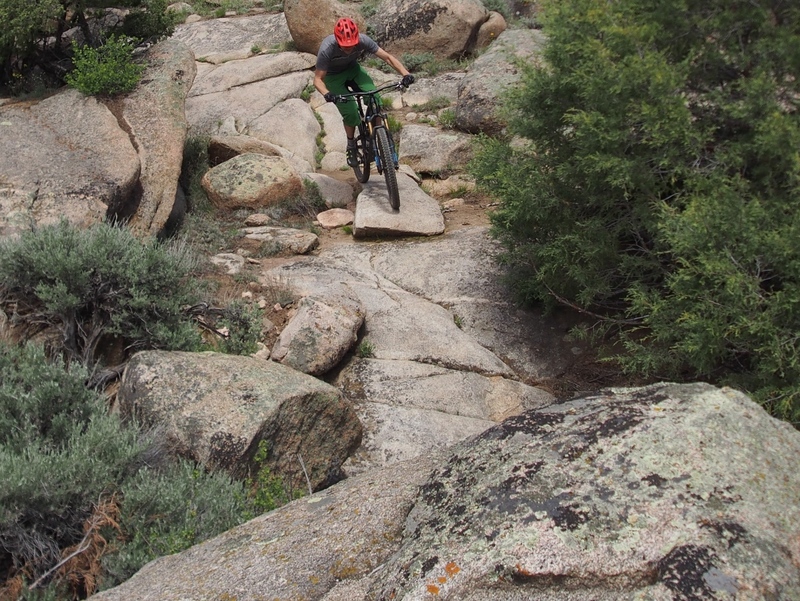 This bike climbs as well as my 4yr old Tracer275, weighs less, and is substantially more composed in rocky, rowdy descents. Supremely happy with this bike in the rocky dusty norcal summer trails.